Why are women in the Mormon church not only barred from becoming priests, but are kicked out of the church for campaigning to change those rules? Why are women in the Mormon church not only barred from becoming priests, but are also kicked out of the church for campaigning to change those rules? The Church of Jesus Christ of Latter Day Saints, commonly known as the Mormons, was founded in America in the 19th Century. It started with just six members – but now claims 15 million worldwide. Women in the church have traditionally taken a supporting role, though some argue that in the earliest days of Mormonism, women played more prominent roles than they do now and that Mormon theology gives more equal status to the sexes than current church practise reflects. 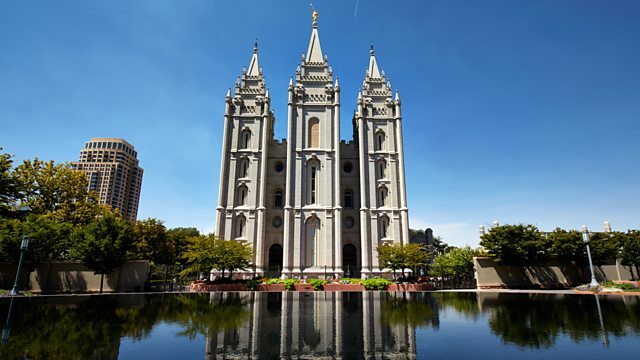 Jane Little travels to Utah, where the Church has its headquarters, to meet Kate Kelly. She was an active mormon, even a former missionary, but then she founded a campaign to ordain women. Kelly was found guilty of apostasy by her bishop and excommunicated. The all-male leadership now regards her as an ex-Mormon, though she clearly does not, and is appealing the decision. Kate Kelly is not the first women to be excommunicated, and Jane also meets another dissenter who questioned the relationship between women and their Church. But she also finds female members who say they are perfectly happy, that they have important positions in their church, yet ones that are distinct from the men. They say the majority of Mormon women do not want the priesthood - which the church leadership confirms is not on the agenda.